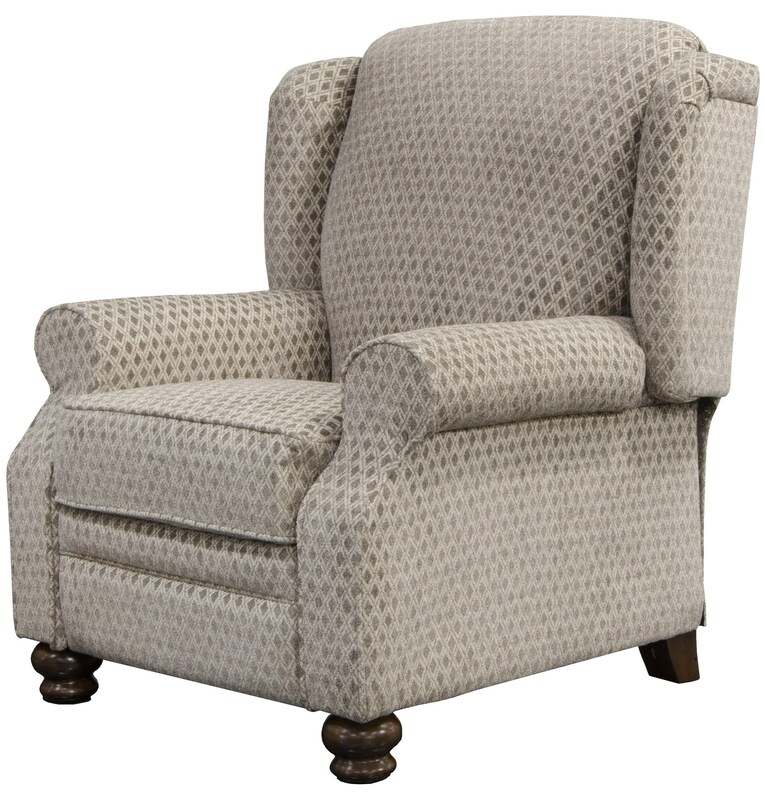 The Jackson Freemont Accent Push Back Recliner is an elegant piece around which to base your new living room furniture set. The sturdy frame of this piece is made from fine hardwood solids and plywood with a built-in push-back recline feature. Turned wooden legs round out this transitional-style piece's look. The Freemont Push Back Recliner by Jackson Furniture at Great American Home Store in the Memphis, TN, Southaven, MS area. Product availability may vary. Contact us for the most current availability on this product. The Freemont collection is a great option if you are looking for Traditional furniture in the Memphis, TN, Southaven, MS area.